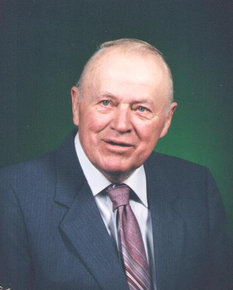 On Tuesday afternoon, January 21, 2014, my grandfather passed away. He was 93 years old. He lived a long life and, in many ways, he lived several lives. He survived the nightmare that was “Operation Tidal Wave” in World War II (the bombing of oil refineries in Ploesti, Romania), only to have his plane crash-land in the sea off the coast of Turkey on their return back to the base. He survived the crash, swimming to shore with the surviving crew members. They were imprisoned but eventually released, and he made his way back home to the U.S. Contemporary sources, and his own words, do a better job describing his experiences than I can. If interested, you should read this New York Times article about the crash: “Life and Death of an American Bomber” (July 16, 1944); and his own recounting of his experiences in World War II, published in the Groton Historical Society Newsletter: “World War II Stories — Part III” (September 2010), which starts on page 5. I know that his memories haunted him, but he liked to talk about the war; it was a huge part of who he was. His stories were fascinating and harrowing. Of course, my grandfather didn’t just survive World War II, he lived another 70 years! That’s practically another whole life! In the 1980s, he again faced death in the form of prostate cancer. But, he survived that, too. He said he just wanted to see me graduate from high school. And, then he wanted to see my brothers graduate — he kept moving the goal post, and he kept right on living. I feel so, so lucky to have had him in my life for all of these years. He was always there, at every milestone: every dance performance and piano recital; every Christmas; every Easter; every Birthday. He lived to see me get married, and he got to meet both of my children. He even lived long enough to see me graduate from college, despite having to wait fourteen years for it to happen. No one could ever say that he didn’t live a full life. I made this little slideshow mostly for myself. There are undoubtedly many more pictures of my Grampa out there in the world, but I chose the ones that had the most meaning to me and, hopefully, to my family. A slideshow can’t capture a lifetime of memories, and so I am very thankful for all of the ones I have here in my heart that no camera could possibly capture. I love you, Grampa, and my life just isn’t going to be the same without you. Grampa from Kelli Wilson on Vimeo.